Korean Red Ginseng is made from roots no younger than six years old. 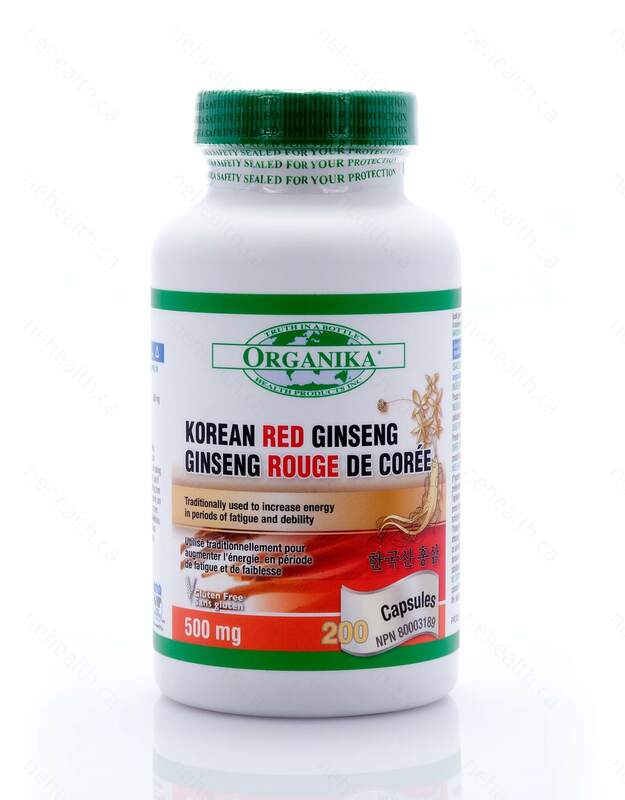 Organika’s Korean Red Ginseng uses a very potent formula of active ingredients. 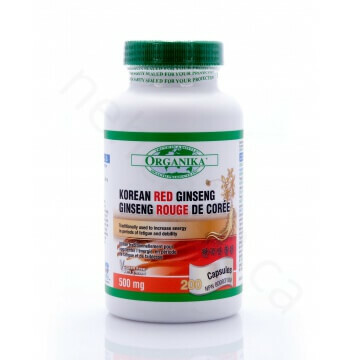 Korean Red Ginseng will support your body when you have low energy or are suffering from stress. Ginseng is a great alternative to drinking coffee or can be used in combination with a caffeinated drink or supplement. 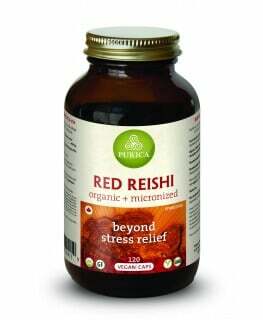 Korean Red Ginseng will restore your energy and give you the focus you need to complete your day. 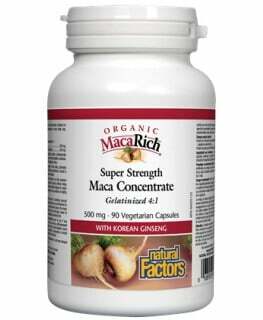 Concentrated Dosage with an Easy to Swallow Capsule! Top Quality Root Source Aged to 6 Years! Standardized to contain 4% Ginsenosides. Non-medical ingredients: Microcrystalline Cellulose, Magnesium Stearate, Gelatin (capsule). 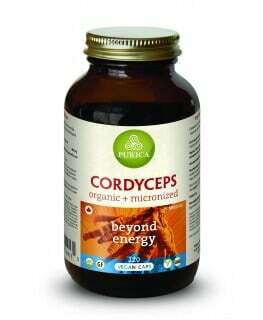 1 capsule twice per day with meals. * Use with caution if you have hypertension, acute illness, unstable hormonal cycles, and/or currently on a stimulant. 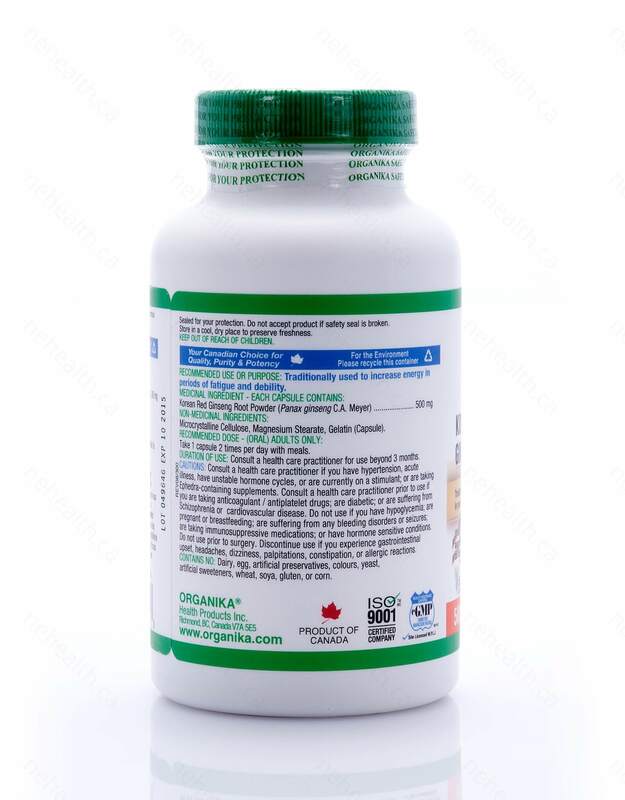 * Consult a health care practitioner prior to use if you are diabetic, suffering from schizophrenia / cardiovascular disease, taking Ephedra-containing supplements, or blood thinners (anticoagulant / antiplatelet) drugs. * Discontinue use if you experience gastrointestinal discomfort, headaches, dizziness, palpitations, constipation, or allergic reactions. 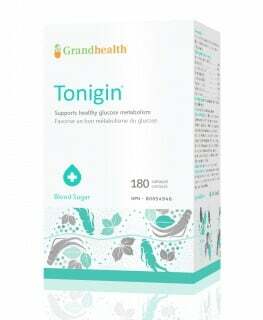 * Do not use if you have hypoglycemia, bleeding disorders, seizures, or if you are pregnant, breastfeeding or taking immunosuppressive medications. Do not use prior to surgery. Choi, H. K., D. H. Seong, and K. H. Rha. "Clinical efficacy of Korean red ginseng for erectile dysfunction." International journal of impotence research7.3 (1995): 181-186. Vuksan, Vladimir, et al. "Korean red ginseng (Panax ginseng) improves glucose and insulin regulation in well-controlled, type 2 diabetes: Results of a randomized, double-blind, placebo-controlled study of efficacy and safety. "Nutrition, Metabolism and Cardiovascular Diseases 18.1 (2008): 46-56.